Shiny sales of Nissan Leaf in some regions of the world make the Japanese manufacturer is aggressive to do development. The result is the electric car Model Year (MY) 2018 now has a stronger power and also more sophisticated than previous versions. In appearance Nissan may not make much changes. But for business performance and features offered, rival BMW i3 and Chevrolet Bolt is the addition of many new technologies. Starting from the electric motor is used, currently comes with a power that reaches 147 horsepower. Then in the battery sector has also been using the size of 40 kWh. The effect, acceleration 0-100 kilometers per hour is enough 8.2 seconds. While discussing the distance, relatives of Renault and Mitsubishi is claimed to penetrate 378 kilometers with the battery condition is fully charged. 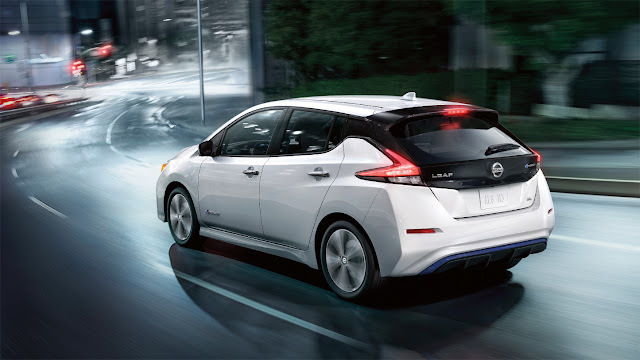 A number of improvements made make driving Leaf even more fun. One of the surprises is Nissan embed technology ProPilot System. This means that the latest Leaf already has autonomous car DNA, and can be used in some street conditions. Of course the development that they do so that their sales stay awake. Even up to now there are 19 thousand units Leaf circulating in Europe, and every 12 minutes sold 1 unit Leaf. Nissan also has plans to market Leaf in Southeast Asian countries.